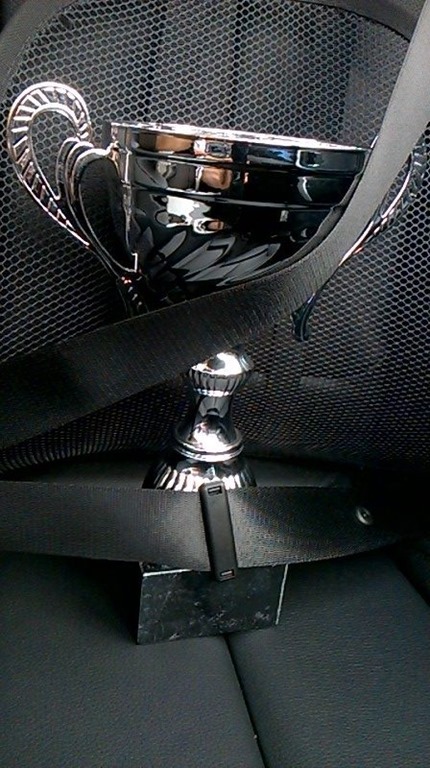 We have come to the penultimate post for the year and we’ve come to the final games for the club of 2015. 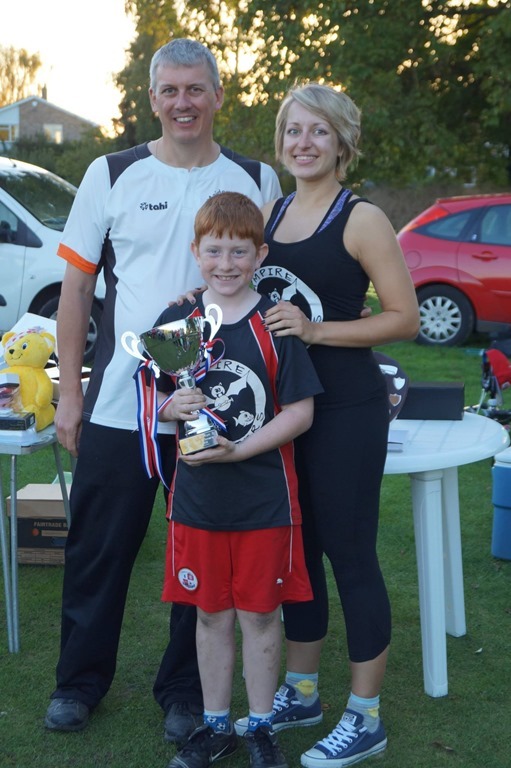 This year saw the third Maidenhead Softball Club Hit and Run tournament. 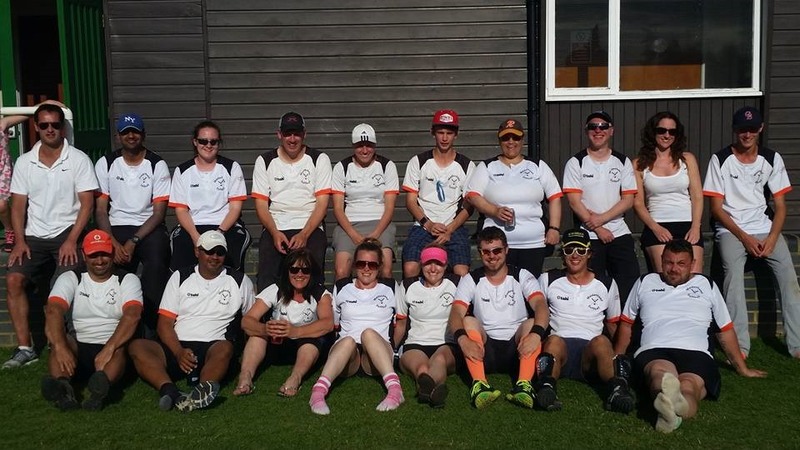 this annual tournament is aimed at teams and clubs with new and youth softball players, with MSC themselves fielding 8 under 18s in their squad. The tournament comprises 8 teams, playing in two groups of 4. The teams this year came from as far as Solent and Redhill, as well as local teams from the Windsor and Maidenhead League. While running later in the year than the past, the weather was again friendly and perfect for some late summer softball. After 6 hours of round-robin action, the competition split into Plate and Main Cup competition. 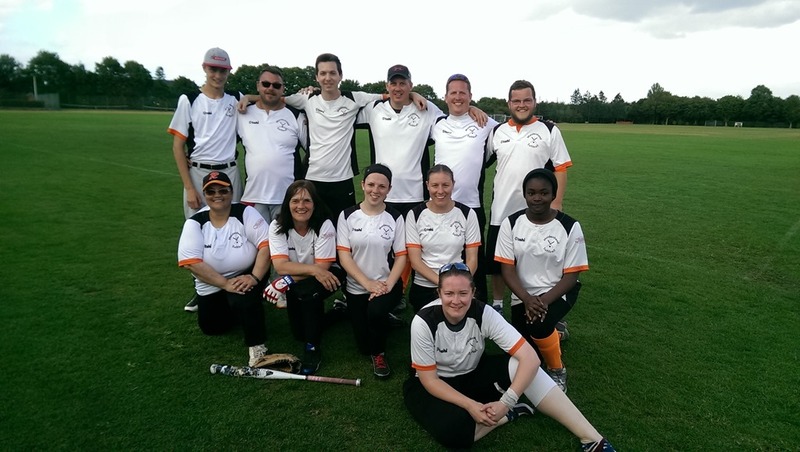 Last year’s winners, BA Flyers were matches against Bracknell Scorchers, while last year’s Plate Winners, Vampire Batters were looking to go one better this year, faced Richings Park Hawks. 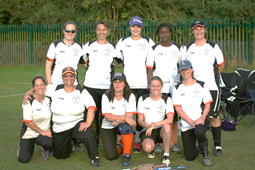 Two hard fought semi-finals resulted in Vampire Batters meeting BA Flyers in the Cup Final. 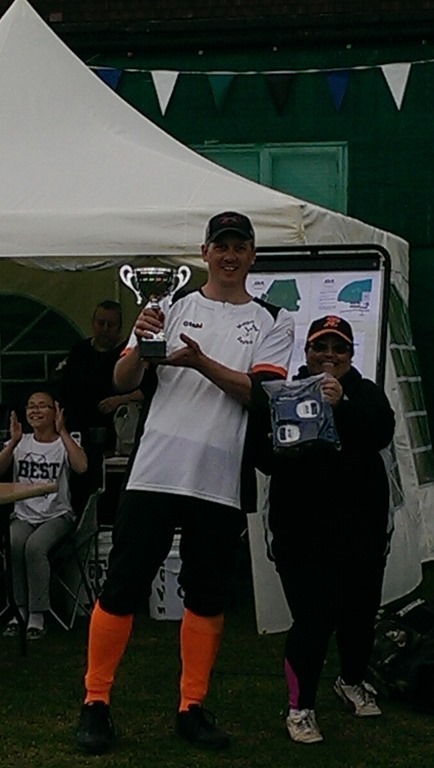 In the Plate Competition, the London based Piranhas, faced Slough based Lonza, while Maidenhead Rebels faced Solent based Redbridge Raiders for a place in the Plate final. 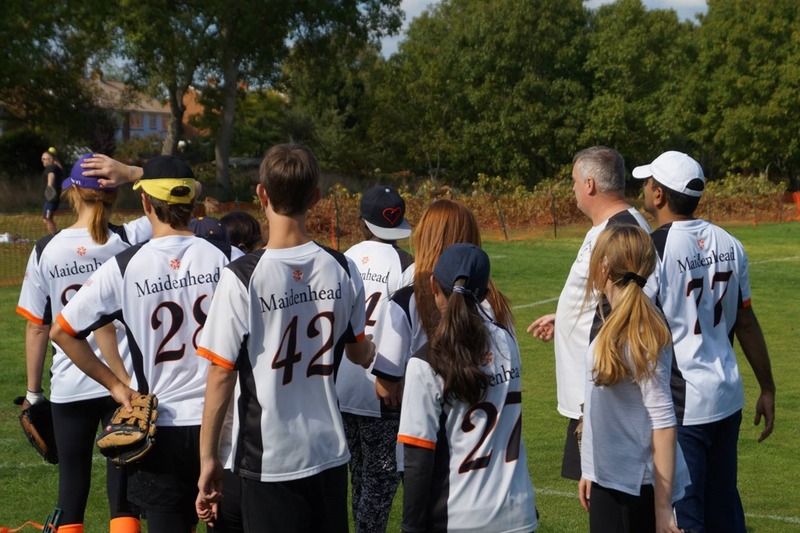 With three of the four teams making their first appearance at Hit and Run, a new team would be guaranteed a final slot, this year that was Piranhas, would ended up facing the Maidenhead Rebels team. Unfortunately for the Rebels, for the second time in three years, they fell at the last with Piranhas taking their first plate award. 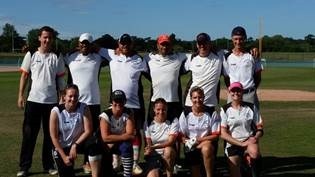 The main final, ebbed and flowed and eventually went the way of the Vampire Batters 20-11 for their first Cup win. The whole day was another huge success for the Maidenhead head club, with over 100 people visiting the tournament, enjoying the weather, the facilities and the competition. Planning is now well under way for Hit and Run 4. Missed Parts 1 to 10? 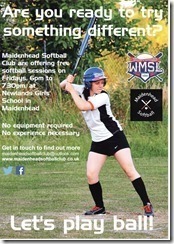 This entry was posted in Club News, Hit and Run, Rebels, Season Review, Tournaments and tagged Hit and Run, Maidenhead Rebels, Season Review, Taster, Tournaments, Try Softball on December 22, 2015 by maidenheadsoftballclub. MSC Review of the Year Part 6. Royals Rollercoaster League Year. 2015 was certainly a rollercoaster year for the Royals in the league. 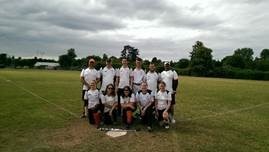 A season that started with a real bang as the Royals scored 11 runs in their very first at bat against the Farnham Flames. That game ended with the Royals scoring another 11 runs to register a 34-17 win and a very positive start. The shape of the season was brought into context in the next game. A tough away trip to BA Jets is never the Royals favourite away day and this one proved to be one of the worst. A 24-1 defeat would be the worst the Royals would suffer all season and be the poorest they would play. Next up came RG Blue Sox 1 and for 4 innings the Royals looked to have overcome the previous weeks result as they surged into a 19-8 lead. However, RG produced a thrilling come back and took the game 21-20 in the last inning. This defeat was equally as frustrating as the week before and traveling to RP for week 4 the Royals needed to bounce back quickly. The 28-7 win was to be one of the high points of the season and one of the best overall league performance. This was the perfect way to setup a visit the 2014 Champions. 12 months ago the Royals had held Farnham Phoenix to a 20-20 draw. In 2015 the Phoenix repeated the feat of scoring 20 runs, however the Royals could only manage 5 leaving the Royals on 2-3 going into a crucial game against the Wildcats. The Royals needed a win, even this early in the season, and with the Wildcats having won on their previous three visits, this was not going to be easy and so it turned out. As with the RG game, the Royals raced into a 17-3 lead only to see the Wildcats fight back in the last inning. A very nervous 7th inning saw the Wildcats just fall short and this time the Royals won 21-20. Going into the halfway point the Royals were on a rollercoaster, great moments followed by terrible ones. The Wildcat game had had all of those, but a win was a real boost. However, this wasn’t to last, the following weeks trip to the Knights was another poor away display, the 18-3 defeat started a run of poor results. 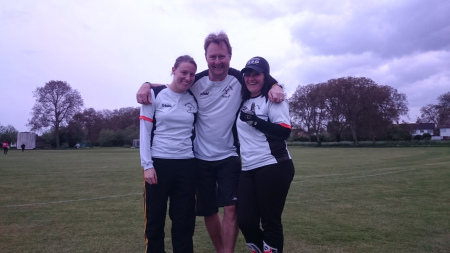 The reverse fixture saw the Royals in another 1 run game, this time the Farnham Flames raced into a 9-5 lead and the Royals had fight back, but again lost out 17-16. Unable to field a team against BA, the Royals travelled to RG having lost 3 in a row. This became 4 in a row as they Royals again let another team jump out to a big lead. A 7 run 7th inning put some respectability in the 17-15 score, but little else. The last month of the season came with the Royals needed wins to avoid a potential relegation battle. This last month proved to be the best of the year, and but for some back luck they almost won all four of the of their games. First up the Royals completed the double over RP, winning 22-7 and easing any fear of relegation. A narrow 11-8 defeat against the Farnham Phoenix was more down to an injury that caused a formation change than anything. The penultimate game of the season saw the Royals travel to their favourite away ground, local rivals the Wildcats. This was another profitable trip down to Bray and the 22-2 win guaranteed Division 1 softball for 2016. The last game saw the Royals save the best for last, the 8-4 win against the Windsor Knights was a solid overall performance and something to remember going into 2016. The inconsistency of the year was highlighted in the MVP voting. Whereas the Rebels and Marvlovians were unanimous in their voting the Royals had four candidates across the league and club. Kai Benaim and Dallas Huntley represented the club at the All-Star game, while Julia Barlow, for a 4th time, and Grant Bergman won the Club MVP awards. Missed Parts 1 to 5? 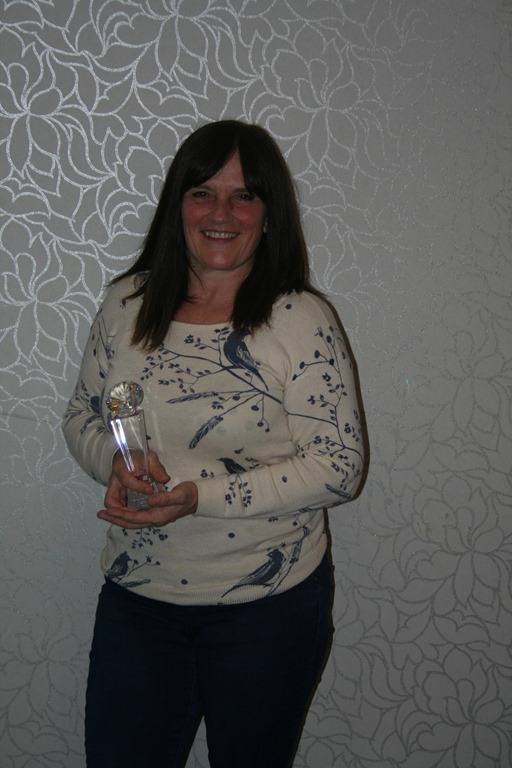 This entry was posted in Club News, League, Royals, Season Review and tagged Maidenhead Royals, Royals, Season Review, Softball, Try Softball on December 12, 2015 by maidenheadsoftballclub.